For the benefit of our readers please take us briefly through the journey of Hemisphere GNSS and role of its principal owner Unistrong. 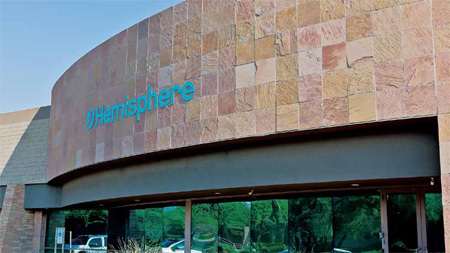 Hemisphere GNSS, Inc. (Hemisphere), headquartered in Scottsdale, AZ, USA with offices located around the globe, began life in January 2013, when Beijing UniStrong Science & Technology Co., Ltd. acquired the precision products business, and related GNSS technology and intellectual property, from Hemisphere GPS, Inc. Until then, Hemisphere GPS had been a company with primarily three areas of focus: precision guidance and control for agricultural operations; high-precision positioning and guidance for the professional and commercial marine market; and embedded OEM precision GNSS technology. For obvious reasons, these areas were complementary for many years as Hemisphere GPS pioneered precise location, optimized for agricultural operations, as well as its Crescent®, Eclipse™, and Vector™ technology platforms with chips and software designed from the ground up for these purposes. At the time of purchase, both UniStrong and Hemisphere were placing a big bet with big stakes-the goal was to form a new GNSS powerhouse and enter the global market as a company controlling all aspects of precision and satellitebased location, from engineering talent and intellectual property to chip production and finished product manufacturing. This was audacious; in a sector dominated by a handful of firms. The convergence of the newly formed Hemisphere and UniStrong resulted in Hemisphere having the ability to offer its proven GNSS technology to a truly global audience and control the entire innovation and delivery mechanism. UniStrong already having a dominant presence as a top-tier manufacturer of rugged tablets and mobile devices gave the new organization a mature manufacturing and supply chain to manufacture and distribute Hemispherebased products and technology to the world. UniStrong, established in 1994, was already a major GNSS firm in China. Though not an innovator in this sector, the eight-branch firm, with more than 1,000 employees and twoworld class manufacturing facilities, was noted for high-end handhelds with GPS, GLONASS, and BeiDou capabilities, used for navigation and high-accuracy surveying. Although for many organizations these accomplishments would have been enough for any company to declare mission accomplished, however Hemisphere and UniStrong were just getting started. The first mandate from the new corporate leadership team was for Hemisphere to introduce a new and completely redesigned worldclass RTK positioning engine to rival the performance and features of industry leaders. Based on this objective and with the financial strength and investment of UniStrong, Hemisphere sought out and assembled top engineering talent in the geospatial positioning sector and quickly made extraordinary advancements in their RTK positioning technology. Hemisphere GNSS is a leader in highperformance satellite positioning with a strong technology foundation and a relentless focus on innovation. Would you like to elaborate on this further? 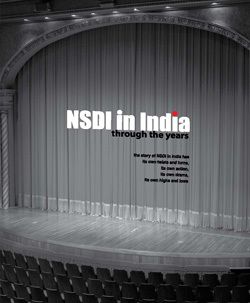 This new research and development initiative bore fruit with extraordinary rapidity. Within three years of Hemisphere’s formation, two new groundbreaking GNSS solutions had been brought to market, the Athena™ GNSS RTK engine and the Atlas® GNSS global correction service, delivering correction signals via L-band satellites at scalable accuracies ranging from sub-meter to sub-decimeter levels. Armed with its new arsenal of RTK positioning technology Hemisphere was now positioned to step into the arena with a new focus and strategy to truly be a major force in the positioning industry. What are the key application areas where Hemishphere GNSS has unique products and solutions to offer? Hemisphere’s key applications are focused on providing world-class RTK positioning performance to the land survey, machine control and precision agriculture markets through both guidance and steering solutions, and marine positioning and heading solutions for navigation and hydrographic surveying solutions. Hemisphere offers solutions to the land survey market through its own brand and also through several OEM brands such as Carlson Software and Stonex branded products. Hemisphere’s OEM partners take advantage of the world-class RTK performance of the Athena GNSS RTK engine and Hemisphere’s design and manufacturing capabilities offer exceptional products to their customers at a very competitive and disruptive price point. Hemisphere has renewed its focus in the machine control market with its GradeMetrix™ OEM machine control toolkit. Hemisphere has combined its proven positioning and heading technology along with its new GradeMetrix software platform to offer machine manufacturers a fully scalable software platform for guidance and control applications for dozers, excavators, motor graders, and skid steers. The GradeMetrix toolkit allows OEM machine manufacturers to offer their customers with the machine control solutions and applications that they have identified as key to their customer base to ensure they experience the efficiency and ease of use that many in the mature machine control market have come to expect in a modern GNSS machine control offering. Hemisphere continues to grow its presence in the marine market with its line of Vector products that offer fully scalable multi-frequency, multi-GNSS solutions for the marine navigation and hydrographic survey markets. 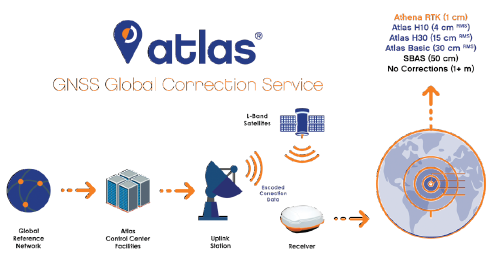 Hemisphere also offers access to its Athena RTK performance and Atlas GNSS global correction service in all of its new products positioned for the marine market. The Vector product line offers position and heading solutions for the leisure, professional, and commercial marine markets. Hemisphere’s Vector solutions are made in various platform sizes ranging from the 13 cm V104 providing 1-degree accuracy; the 50 cm V500 providing 0.3-degree accuracy; and the V1000 for large-scale solutions which supports antenna separations up to 20 meters and provides users with 0.01-degree accuracies. All of Hemisphere’s Vector solutions incorporate IMU and gyro technology to allow the products to continue to provide specified accuracy performance when used in challenging environments or when GNSS satellite visibility is compromised or unavailable. Recently, Hemisphere GNSS acquired Outback Guidance Business from AgJunction, Inc. What value does it bring to overall portfolio of Hemishphere GNSS business? Hemisphere recently renewed its commitment and efforts in the precision agriculture market with the recently acquired Outback Guidance (Outback) product line and distribution channel, based out of Hiawatha, KS, USA and Winnipeg, MB, Canada. Outback has been a proven brand in the precision agriculture space leveraging Hemisphere’s RTK solutions to provide superior machine guidance and steering to various agriculture applications including, but not limited to, steering, implement control, section control, and data management. Hemisphere sees a tremendous opportunity to elevate the Outback brand to new heights with its new RTK engine and solutions that offer access to its Atlas GNSS global correction service. The continued global expansion of Outback products and solutions to emerging regions of the world that will benefit from having value based affordable solutions that make agriculture applications efficient and productive for a greater variety of large and mid-size tractors and machines is very exciting.